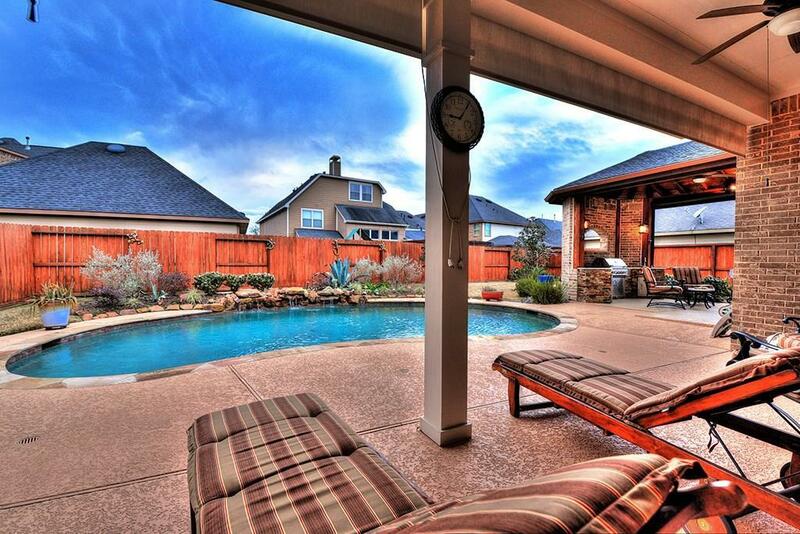 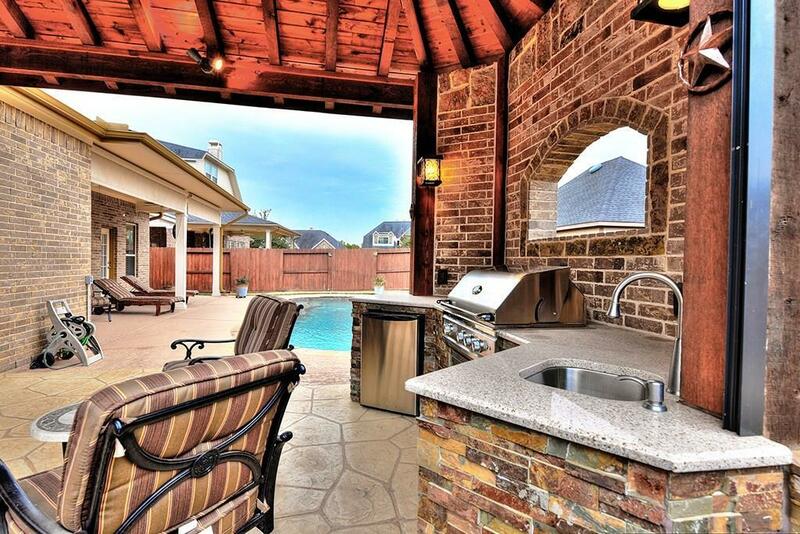 RESORT STYLE LIVING RIGHT IN YOUR BACKYARD. 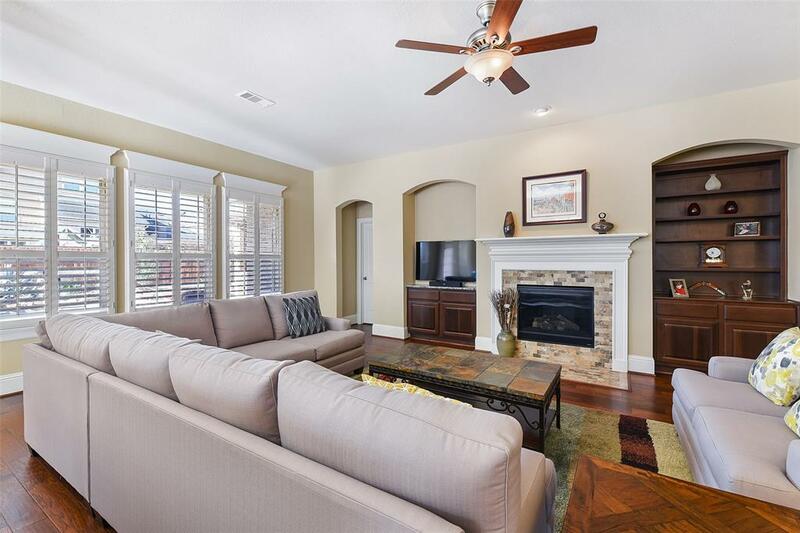 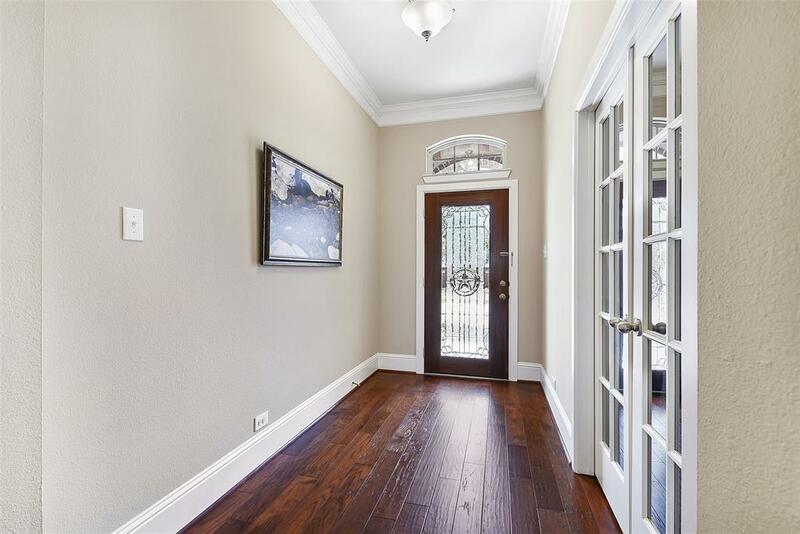 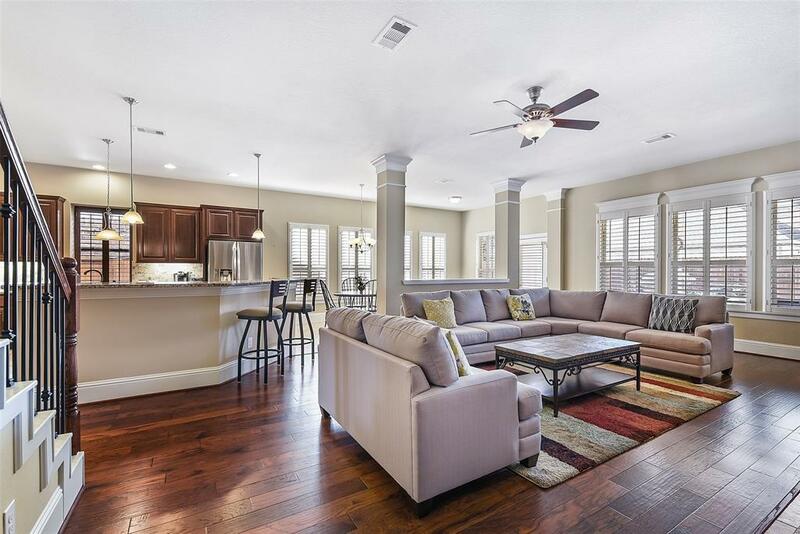 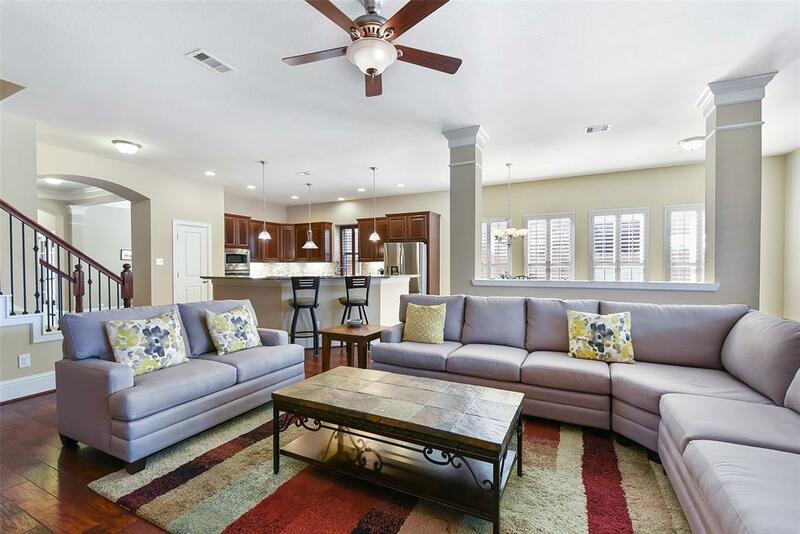 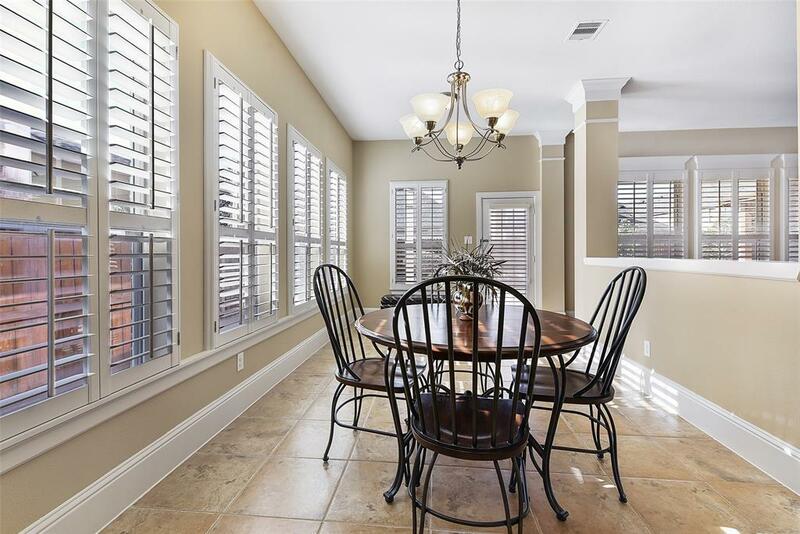 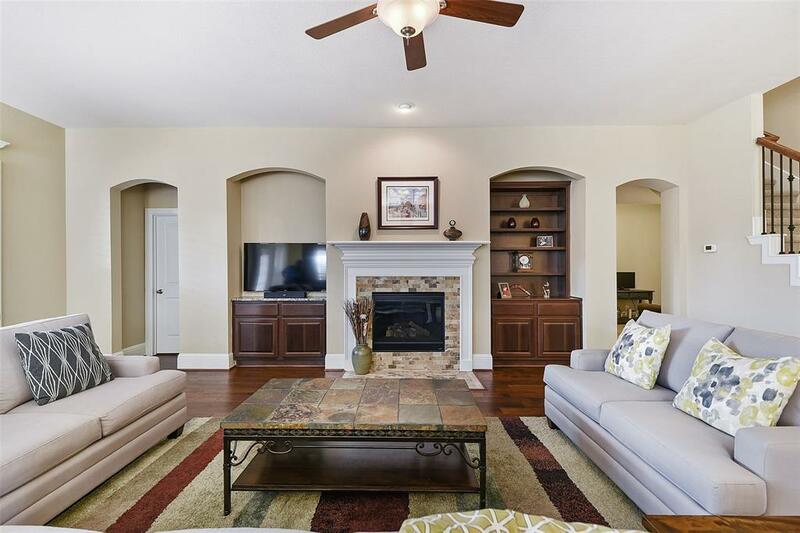 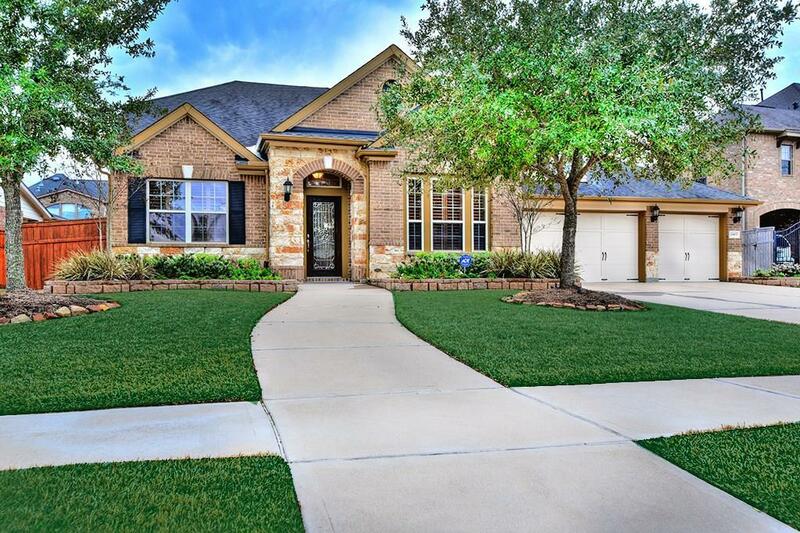 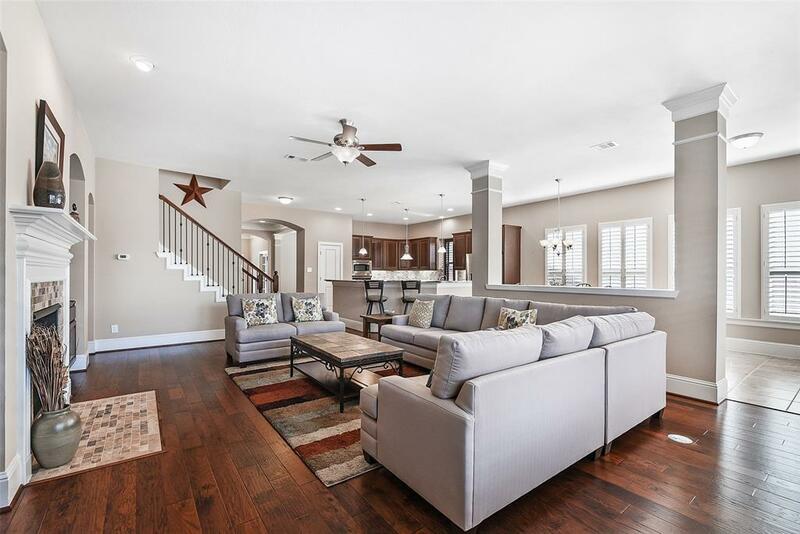 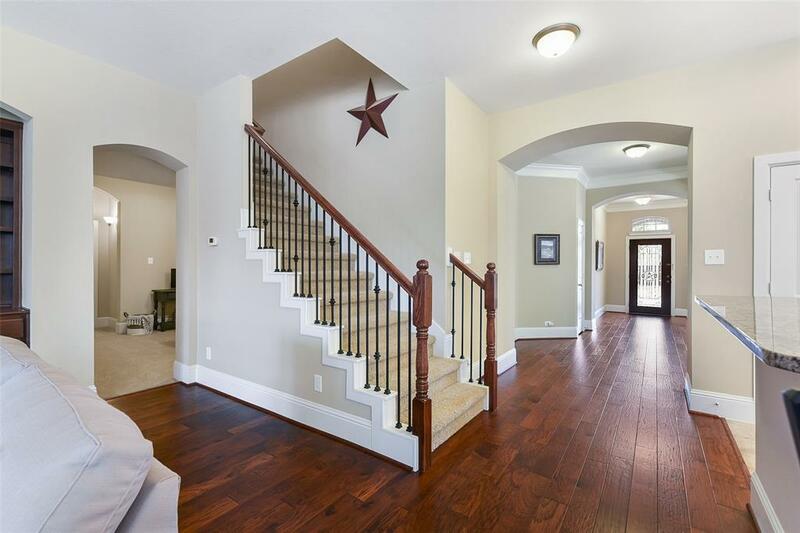 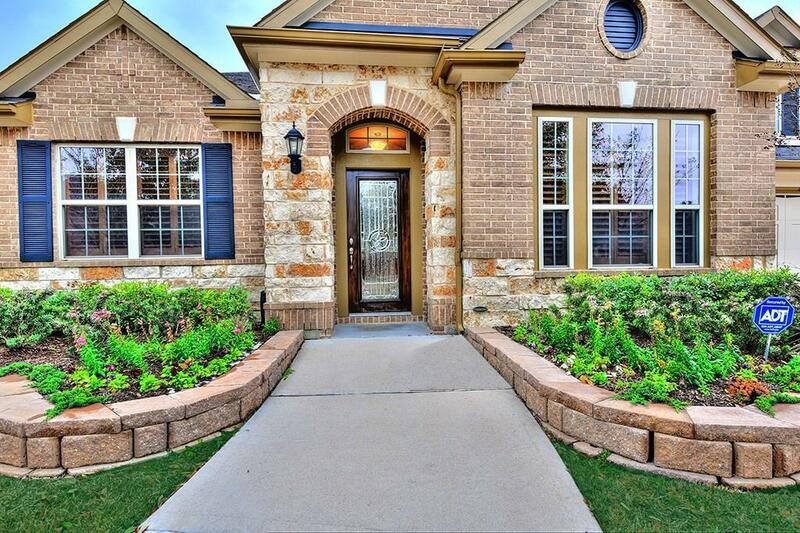 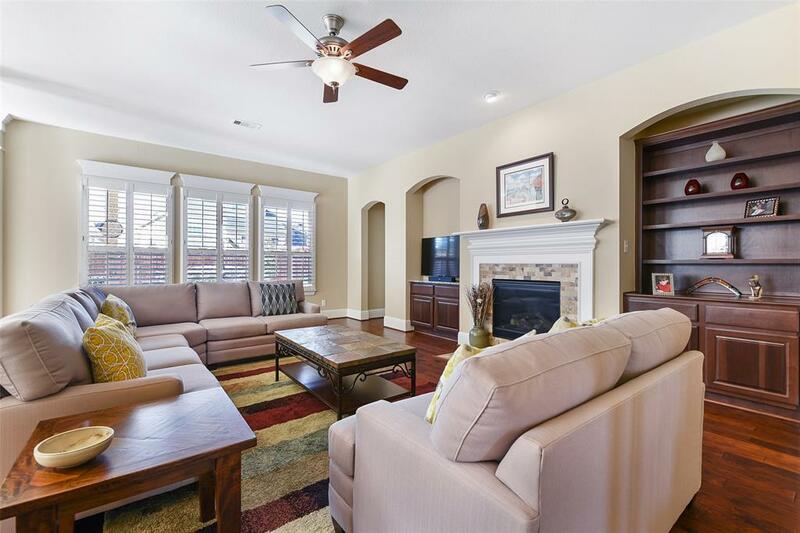 Gorgeous home with brick and stone elevation, rich WOOD FLOORS, elegant crown moldings, PLANTATION SHUTTERS throughout and a flowing open concept floor plan for entertaining. 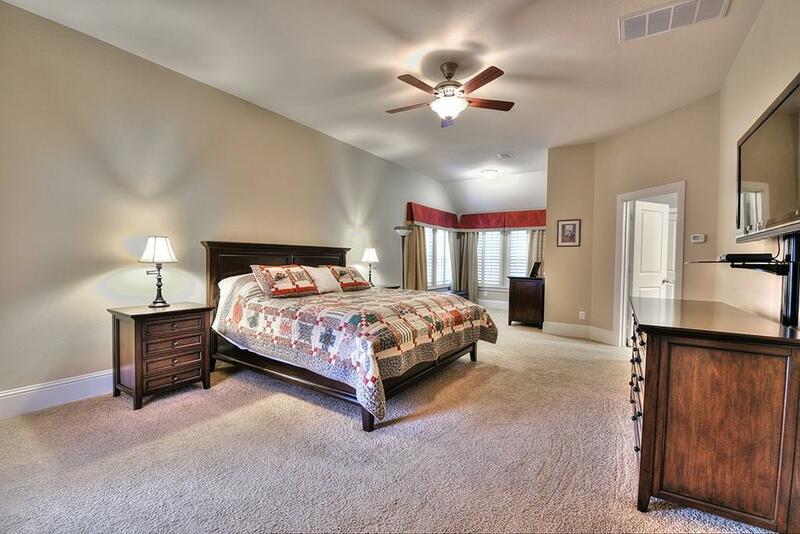 4 large bedrooms DOWN! 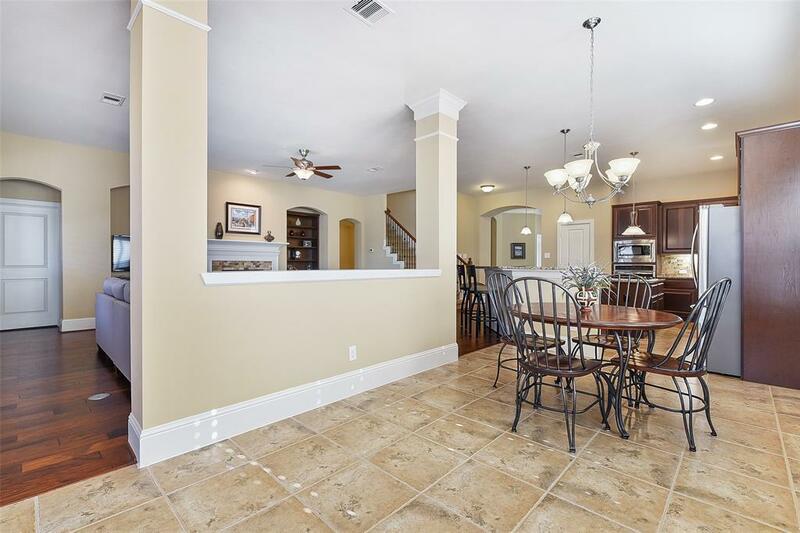 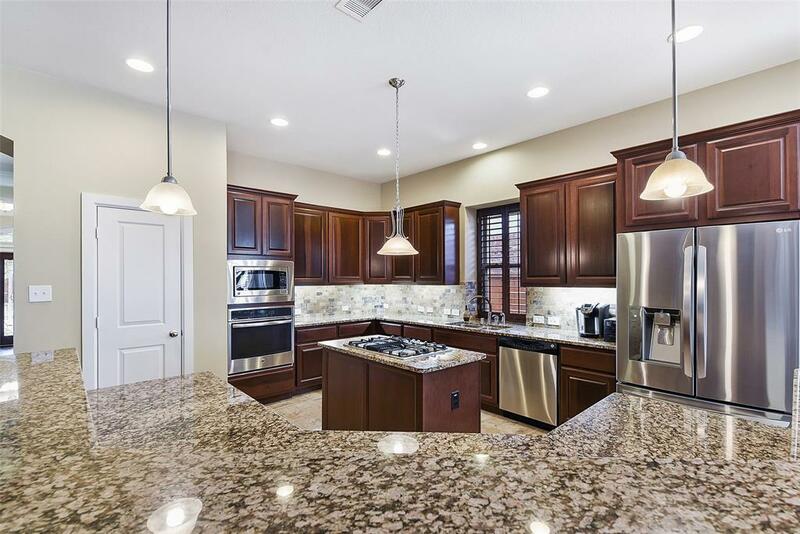 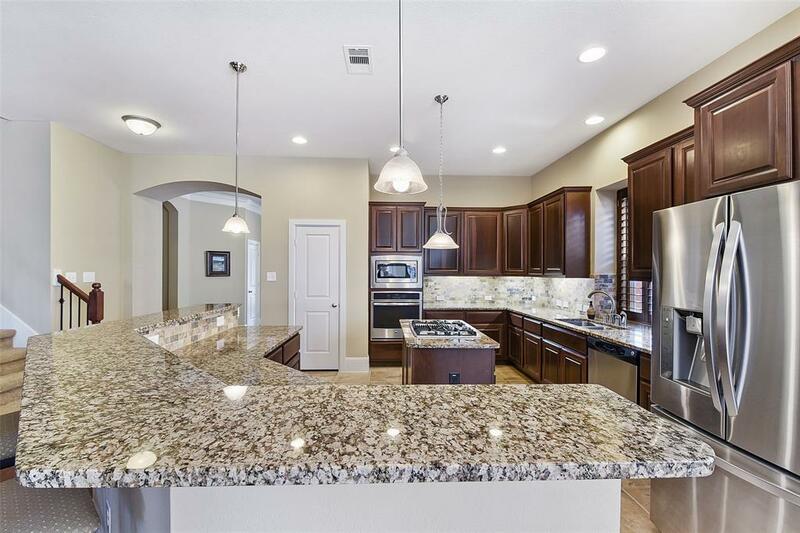 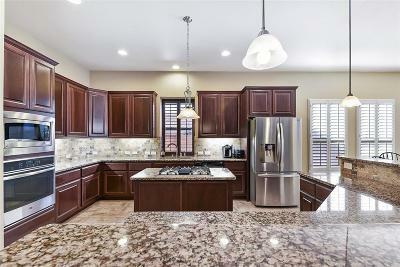 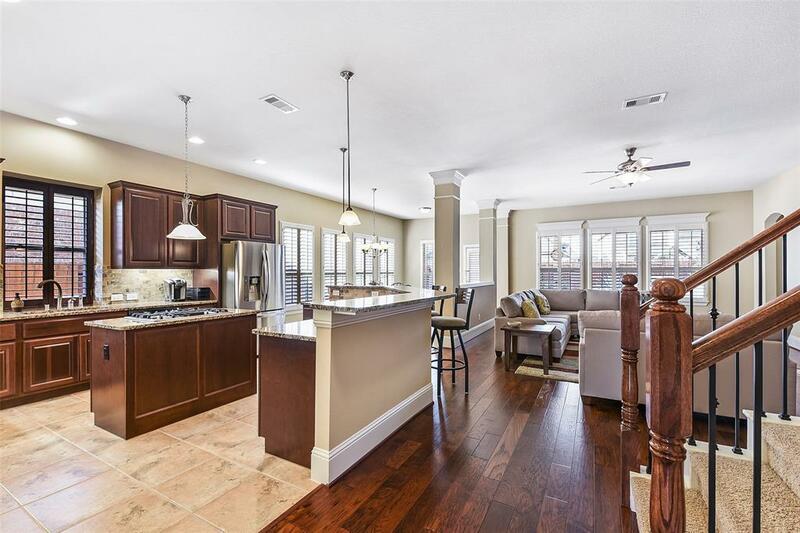 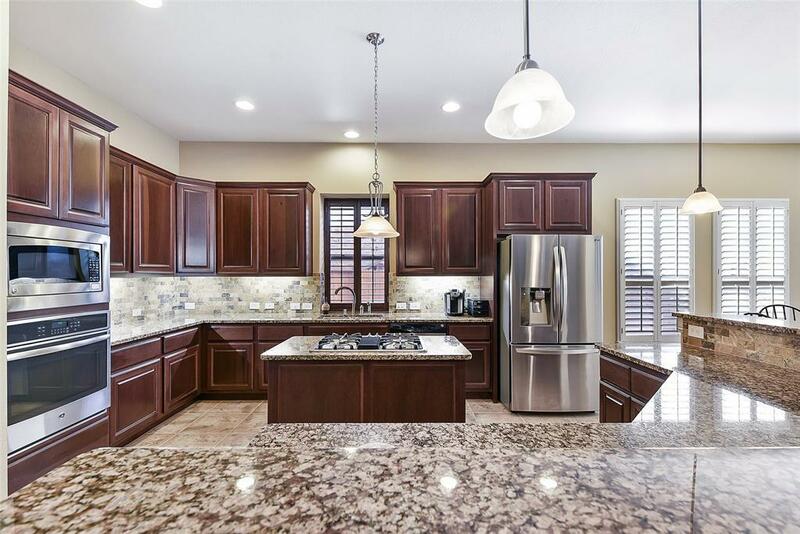 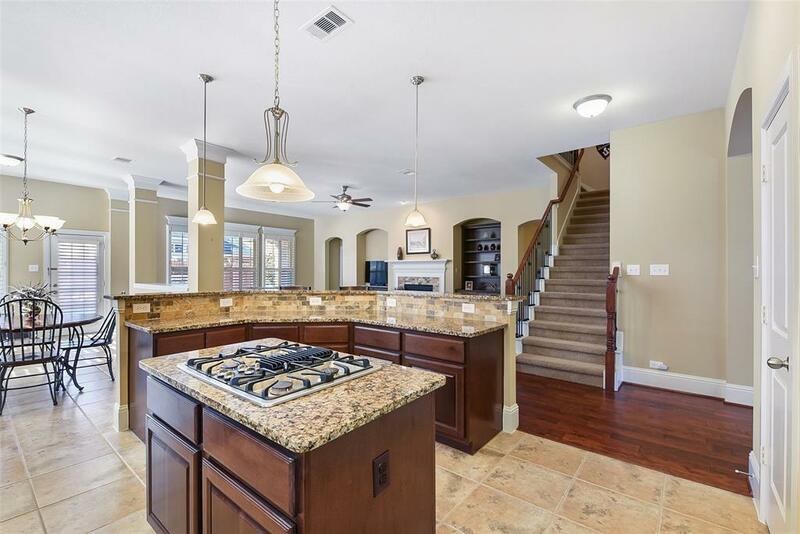 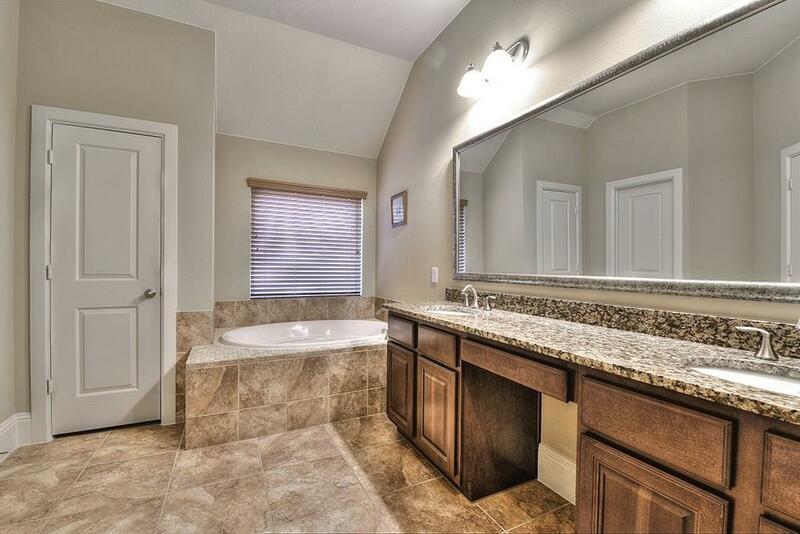 Huge kitchen with miles of granite counter space, extra long breakfast bar and tons of cabinets for storage. 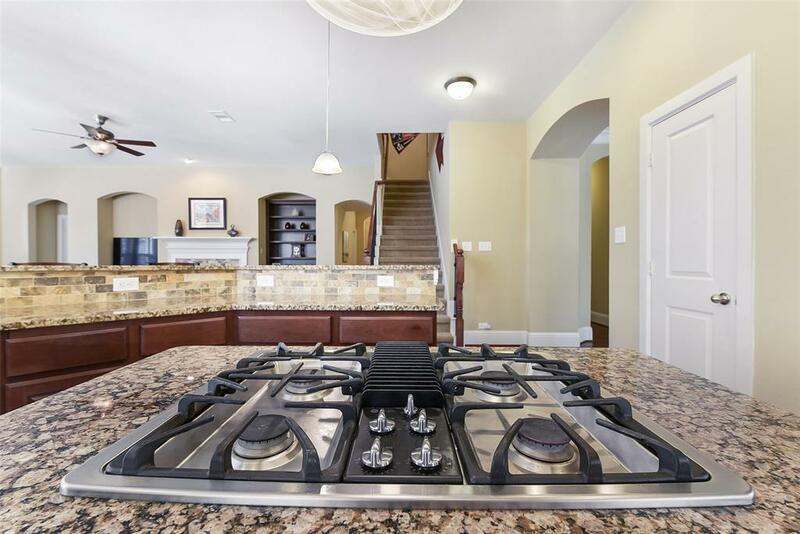 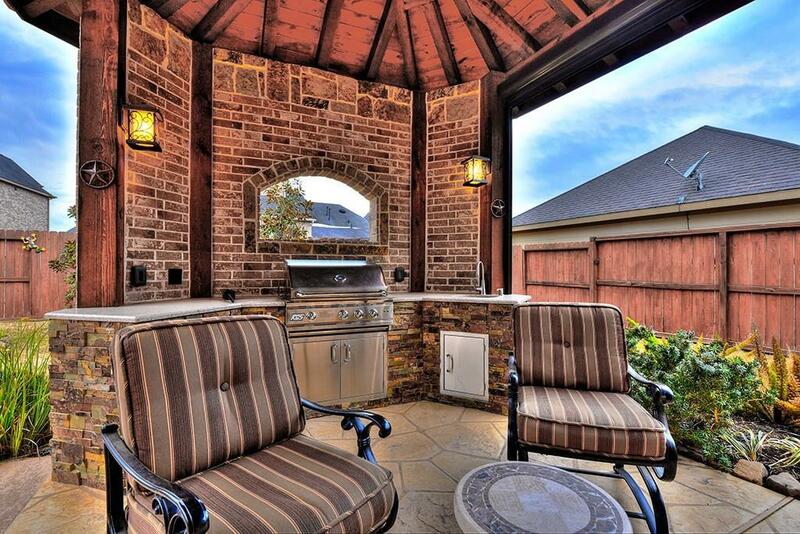 Island cook top with indoor grill is a chef's dream! 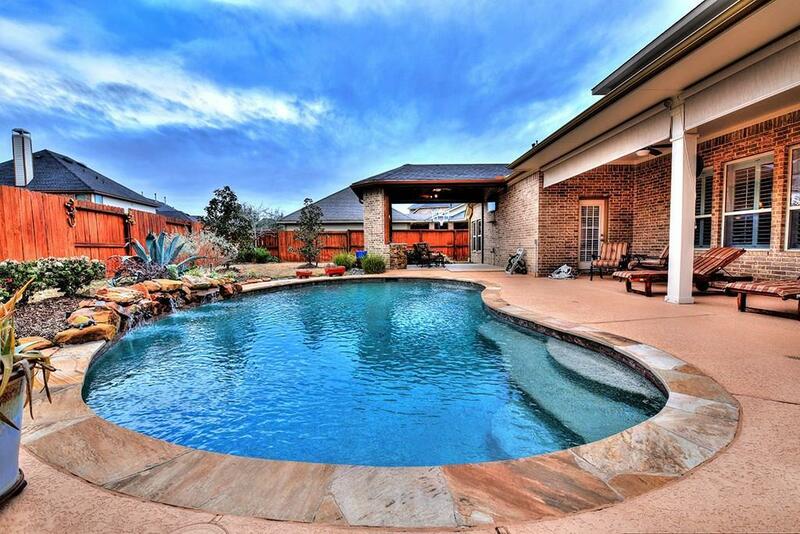 Lush landscaping surround and just steps away from a relaxing afternoon by your very own SPARKLING POOL and TWO COVERED OUTDOOR LIVING SPACES WITH AN OUTDOOR KITCHEN. 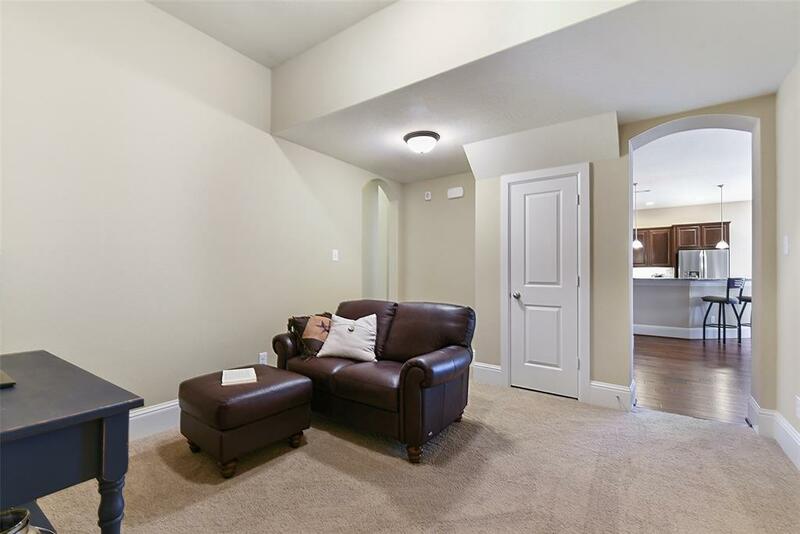 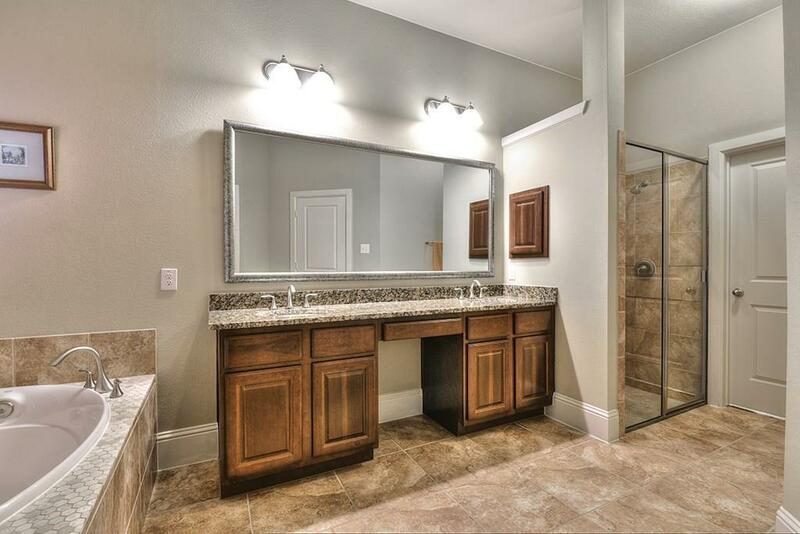 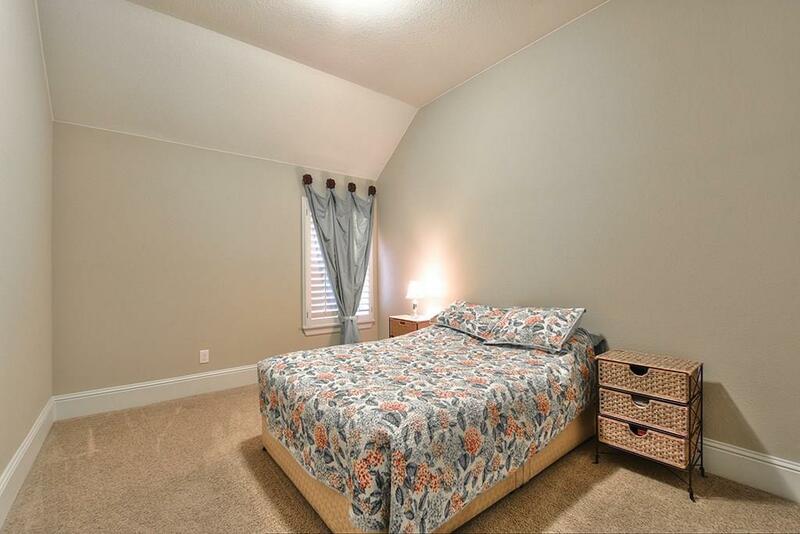 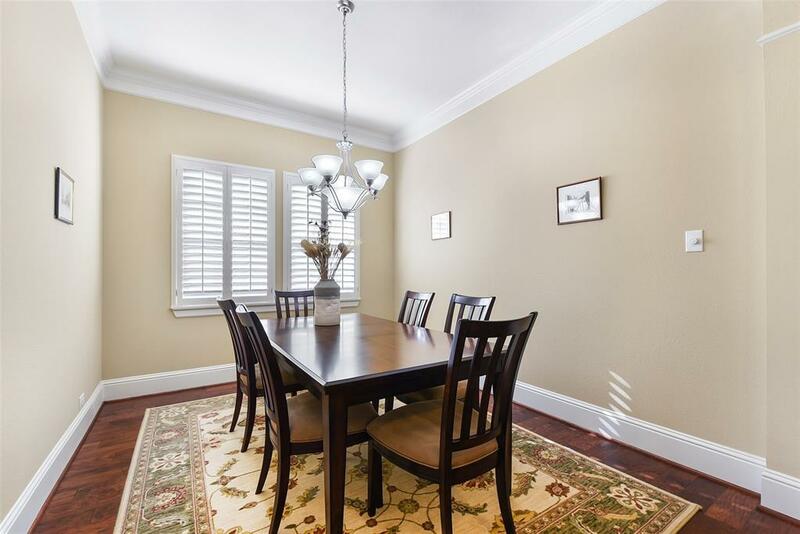 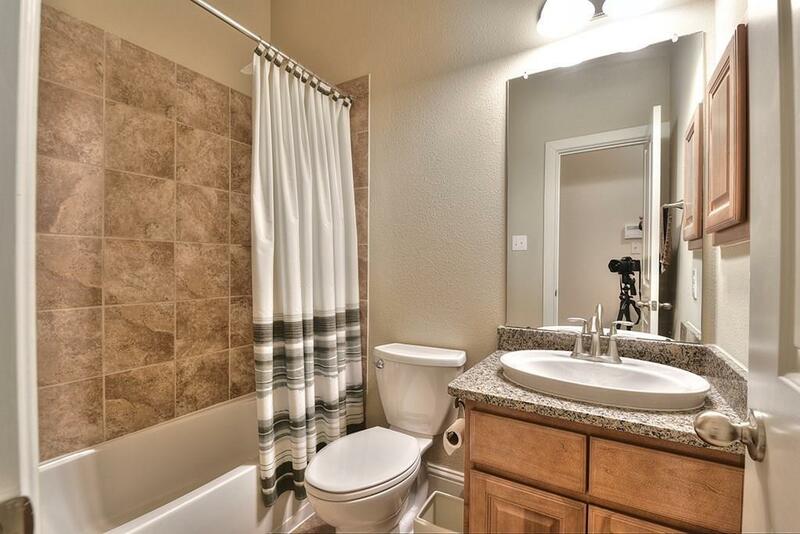 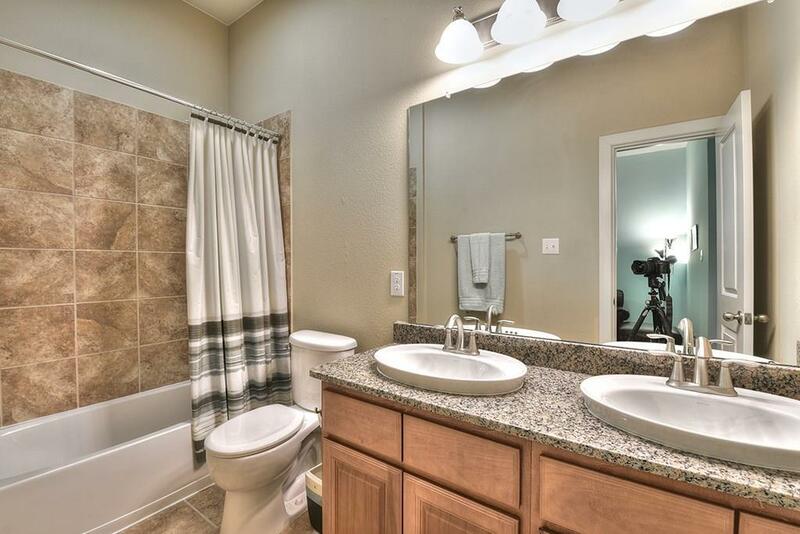 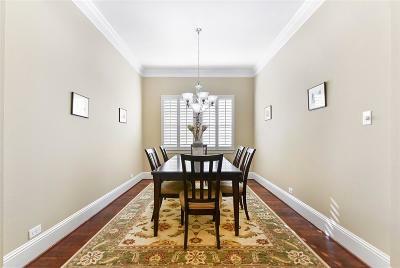 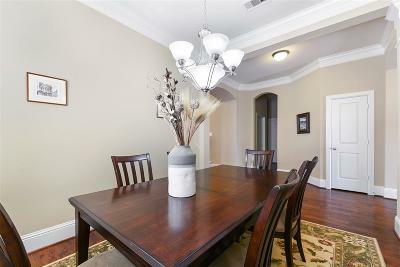 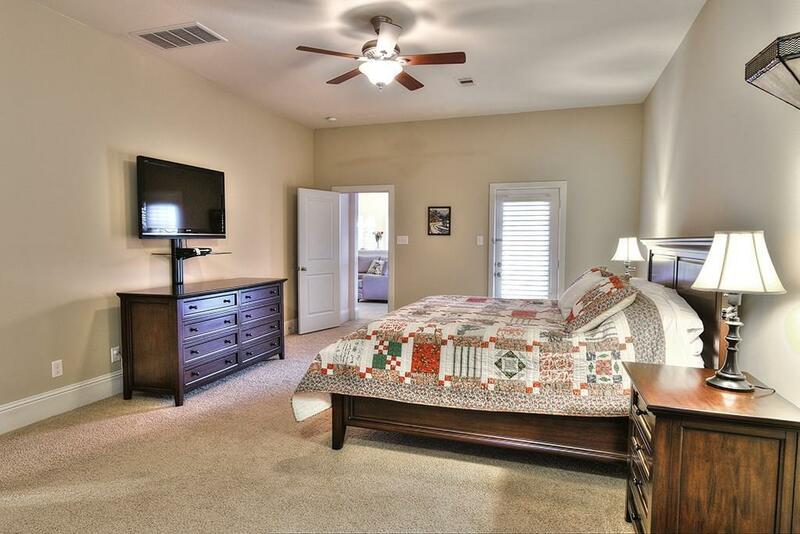 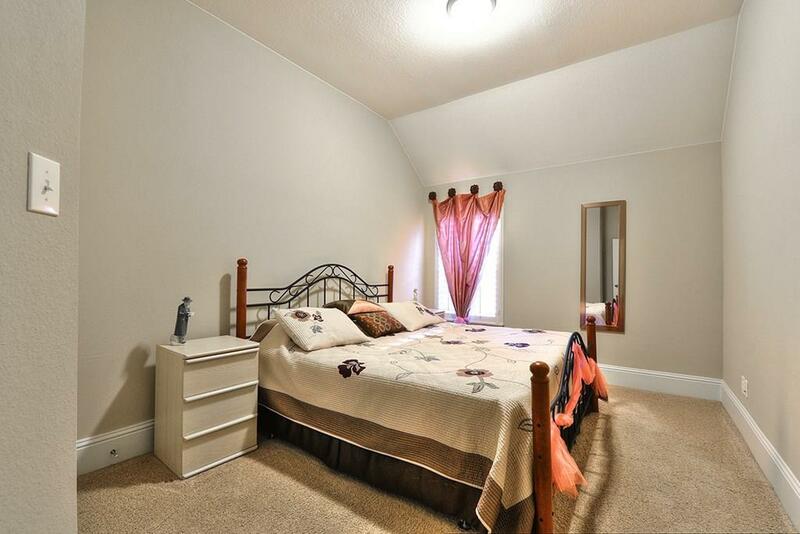 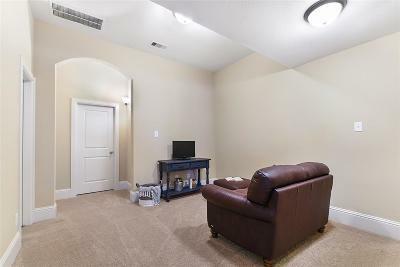 Private study, formal dining room, extra flex room downstairs, spacious master with his and hers vanities and extended shower. 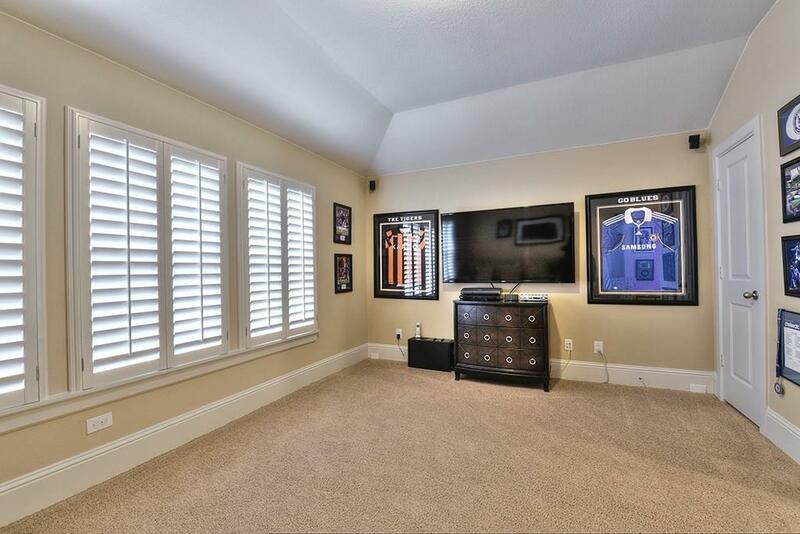 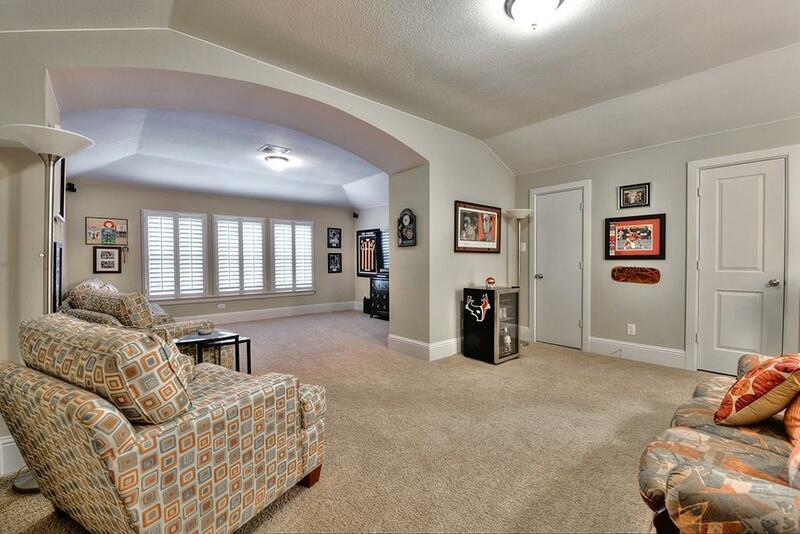 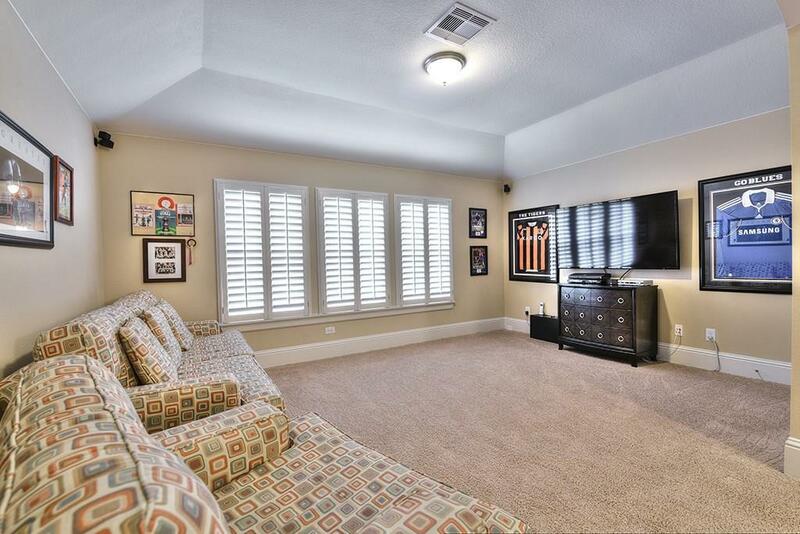 Over-sized GAME ROOM UP with its own bath. 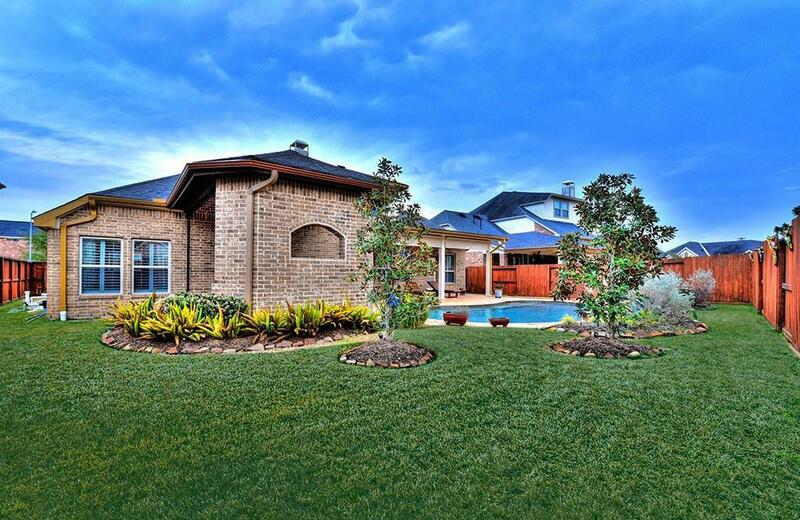 Culligan Water Softener and 460FT 3 CAR GARAGE. 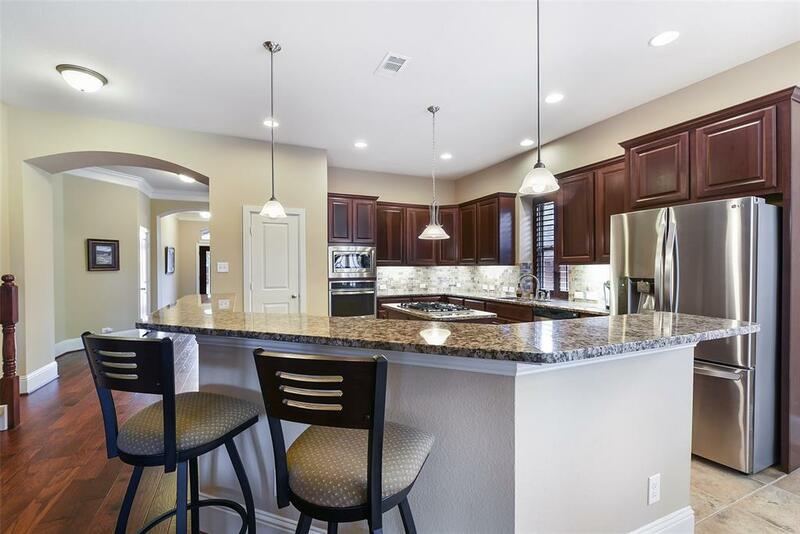 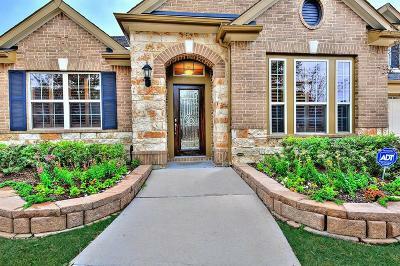 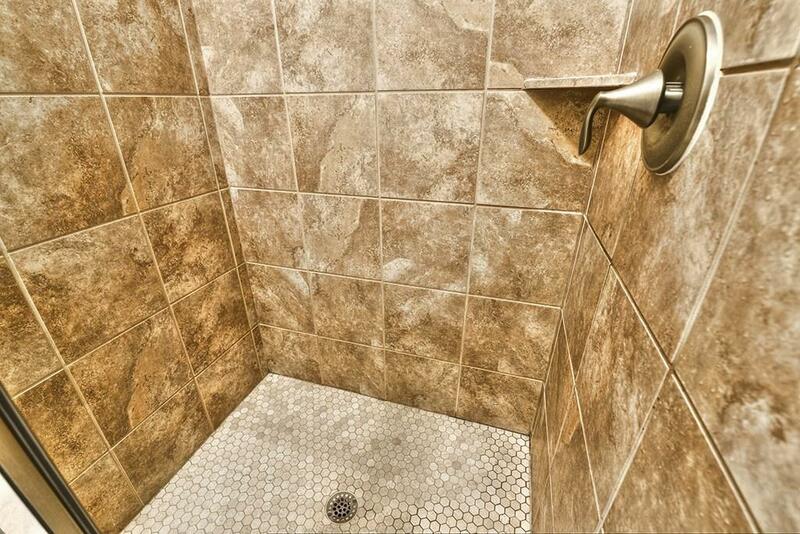 Award Winning Master Planned Community! Make an appointment today!